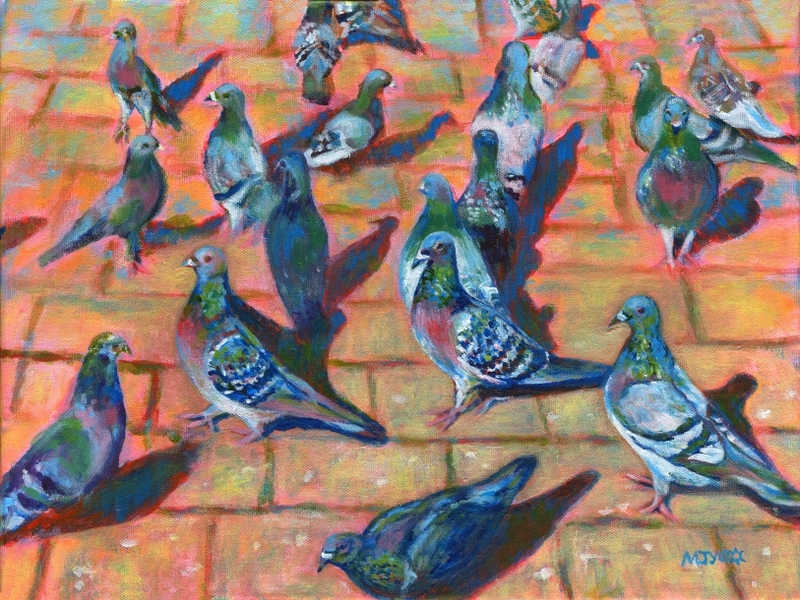 Pigeons are considered by many as common vermin, but to me they have beauty. The colours and patterns of their feathers. The curvy shape of their bodies. Their proud looking posture, even though they are 'beggars' for the crumbs we drop. At weekends our family often eat cakes by Worcester riverside and the children enjoy watching the pigeons strutting and pecking about. I took a lot of photos of them on a sunny day, with their shadows being cast across the paving stones. They seemed like a good subject for a painting.